Major initiatives, policy changes and a slew of reforms have put India on the global industrial map as one of the fastest growing economies as well as one of the most attractive investment destinations in the world. Government of India has permitted foreign investment in almost all sectors with a few exceptions, for instance in sectors such as atomic energy, lottery business, and chit funds etc. where FDI is completely prohibited. 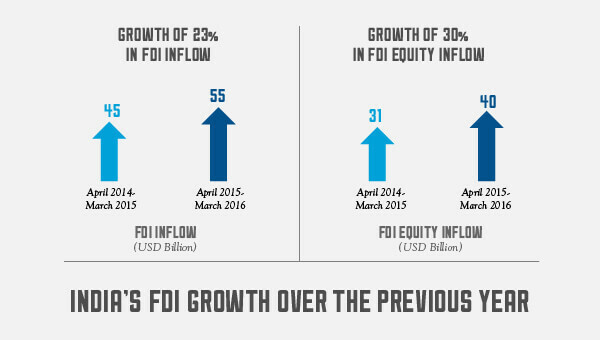 For other sectors, FDI is either 100% permitted or partially permitted. Land in India is a State subject. A number of options are available for setting up a unit for which the investor may get in touch with the respective State Industrial Corporations (IDCs) with their business plans and desired land size. The applications are then reviewed and decided based on merit. Winding up/liquidation represents the last stage in a company’s life. It’s a proceeding by which a company is dissolved. The company’s assets are disposed of, the debts are paid off out of the realised assets and the surplus, if any, is then distributed among the members in proportion to their holdings in the company. Winding up of LO/BO/POs: Requests for closure of BO/LO/PO and for remittance of winding up proceeds need to be submitted to the designated AD Category-I bank along with requisite documents such as Copy of RBI approval; auditor’s certificate; etc. All facilitation and hand-holding support to investors under the Make in India programme is being provided by Invest India. 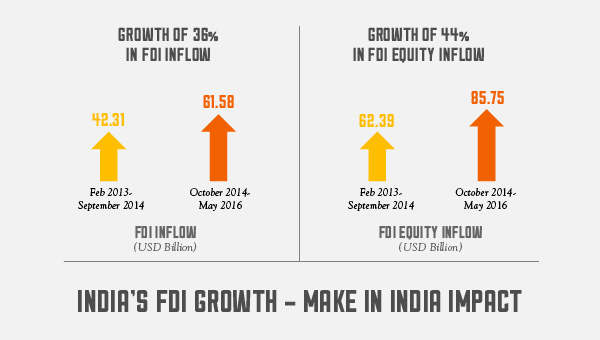 Does Invest India have any Foreign Associations ? JETRO (Japan), Invest in America (USA), UK Trade & Invest and UK India Business Council (UK), Invitalia (Italy), UBIFrance & Invest in France (France), KOTRA (South Korea), BOI Mauritius (Mauritius), Czech Invest (Czech Republic), Kaznex Invest (Republic of Kazakhstan), Saudi Arabian General Investment Authority (Saudi Arabia). Invest India is also working closely with Indian missions abroad, foreign missions in India and bilateral & multilateral agencies. Does Invest India has any International Offices or Representatives? Invest India functions out of its Headquarters in New Delhi, India. However, for any investment related queries you may get in touch with the commercial representatives of the Indian Embassies/Consulates in your country. No. Invest India is a Section 8, Not-For-Profit organisation. The services provided are completely free of charge. What are the services offered by Invest India? Following up on approvals from Government departments/agencies on behalf of the investor and the investing community.Providing handholding facilitation services from the point of arrival to the point of departure, including land/site identification and entry procedure advisory.Interacting with all States in a Hub & Spoke Model and providing investors with State policies relating to land/labour/capital and investment.Fixing meetings/appointments between investors and different Government departments/agencies.